66745 Modern Railways The first 50 years was formerly DRS 66409 later 66844 with Advenza for a short period in 2009, then GBRf and Colas. The locomotive is understood to have been damaged at Whitemoor some weeks ago, and the remains of 66048 have been acquired from Booth, Rotherham, and moved to Longport to support the repair. It seems that we won't see 66745 for some time. 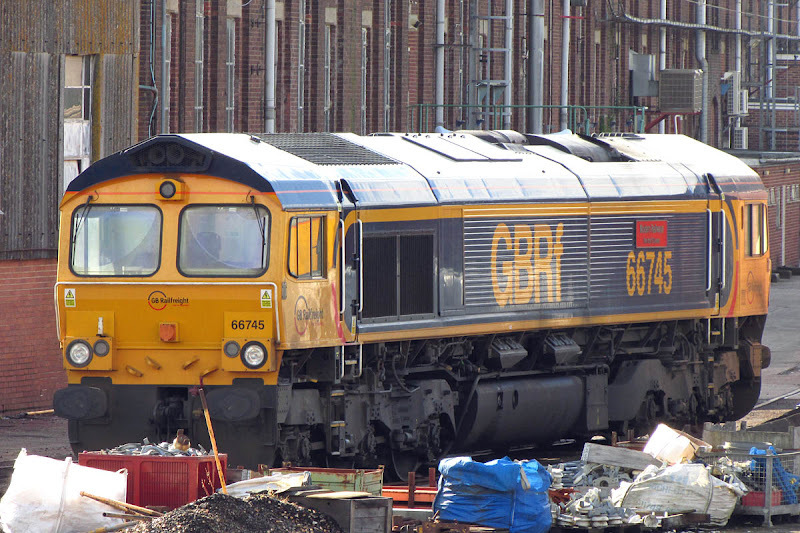 Eastleigh Works, 25th May 2014. 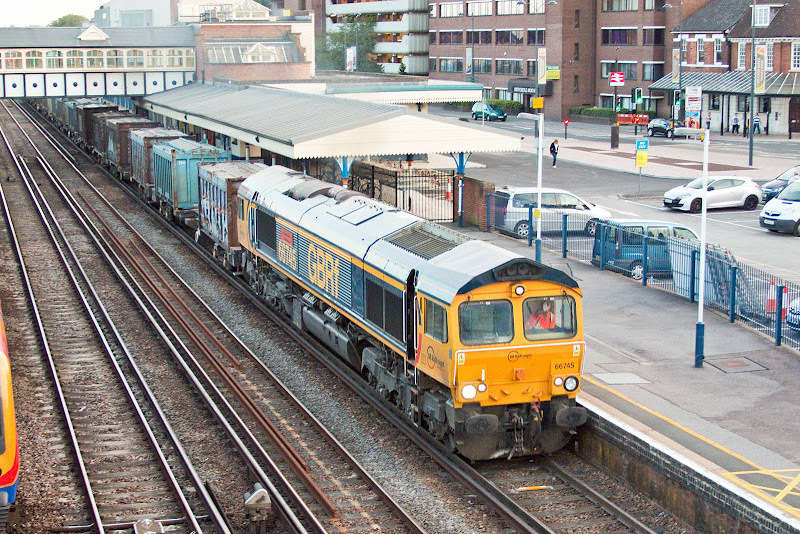 Eastleigh station, 31st July 2015.